Have you ever been in a situation were having a bit more grip would make something so much more easier? 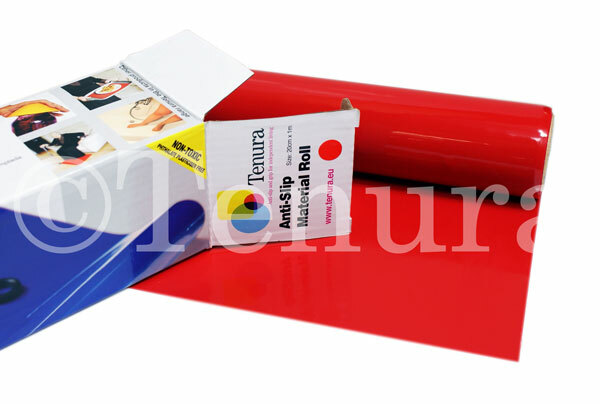 We supply Tenura grip rolls for that reason, allowing you to create a custom grip strip, or sheet, for your needs. Tenura grip rolls are made from 100% silicone, with no filler, meaning it is completely non toxic, washable and heat resistant up to 482°F. The silicone has an adhesive affect, meaning it will stick to anything it is applied to, and upon removal will leave no residue. This is particularly important when applying it flat to a surface to prevent slips, or wrapping it around objects to increase grip with no risk of the material coming away reducing the effectiveness of your added grip enhancement. The rolls can be cut to size for your preffered use. Tenura grip rolls can be used in a variety of applications. Below we have listed and detailed a few day to day uses. Doors are opened by either a handle or a knob. The former can sometimes have right angle edges that make them very uncomfortable to use, and the latter do not have a large enough surface to aquire a good grip. By wrapping Tenura grip strips around either of those, you can increase comfort and grip, as well as prevent the cold travelling to your hands in the winter months. Tenura grip rolls make excellent non slip draw liners. 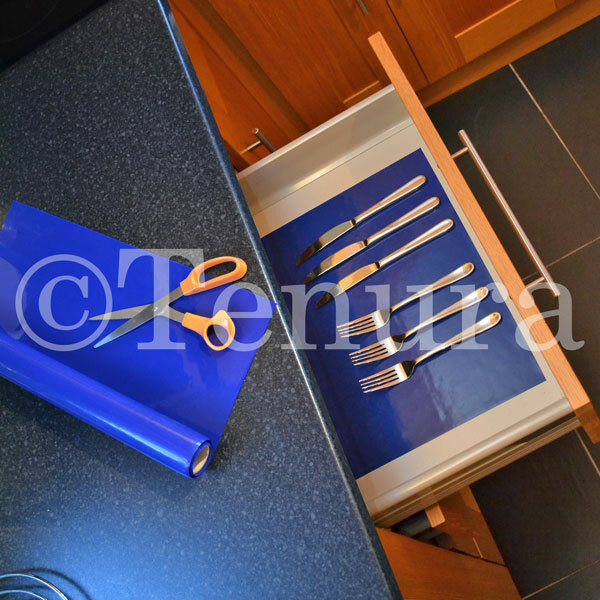 Applying Tenura grip rolls to the base of a drawer, you can prevent cutlery trays and other items from sliding about when opening and closing draws, reducing the amount of wear and tear on them. Footplates on wheelchairs are sometimes made from plastics with low energy surface levels, many without a textured surface. This can result in a lack of a decent foothold when sat on the wheelchair. 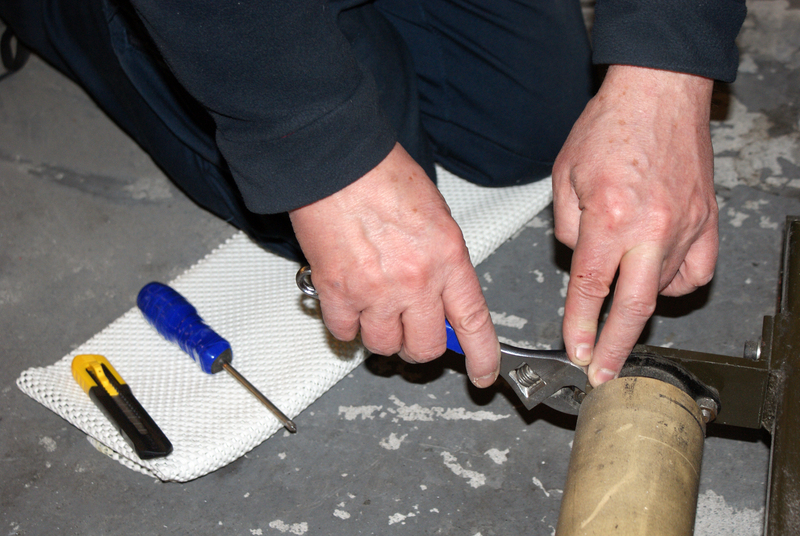 By cutting and applying Tenura grip roll to the footplates, you can increase grip and prevent slips. 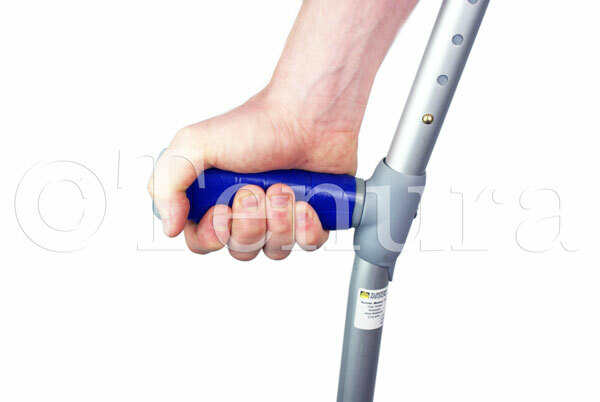 Whether temporary or permanent use of a crutch or crutches required, prolonged daily use of them can have detrimental effects on hands, as the handles are usually not very comfortable. Constant rubbing can cause blisters, and lack of cushioning can cause arm fatigue. Cutting Tenura grip rolls to size and wrapping it around the handles, not only can you add more grip, but you can increase the comfort levels by giving the handle more cushioning. With Tenura silicones excellent heat resistance properties, by wrapping Tenura grip roll around pan handles, not only can you protect yourself from burns, but you can also make handling pans much more comfortable. A pan handle that has increased grip and heat resistance makes handling pans when preparing food not only much safer and easier, but much more enjoyable too. 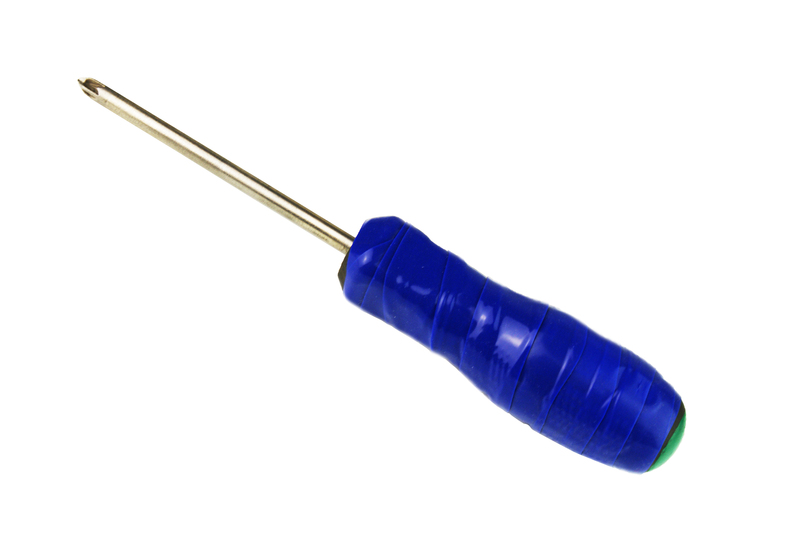 If you are interested in Tenura grip rolls, head on over to the website. All Tenura grip rolls are available with 20% off for the next 2 months. Posted in Uncategorized on December 8, 2015 . Tenura silicone antimicrobial moulded cup holders fit onto the bottom of a cup or mug with ease, creating a portable non slip surface, helping to prevent spills and stains in day to day life. Tenura cup holders are best used with cups and mugs, as they have been designed to fit around the handle, however, they can be used on virtually any container that will fit into the in-built seat. This can make hot beverages much easier to move around without the chance of spills and stains that could lead to injury via a burn or as a slip hazard. This product can be applied to cups and mugs easily. By lining up the slit for the handle, with the handle, you can ensure the cup holder is the correct way round. A small amount of pressure on the bottom of the cup holder will allow it to conform to the base of the cup, and be ready for use. Tenura cup holders can be removed just as easily, apply a downwards force to the cup holder while hold the cup or mug, and it will pop off with ease. 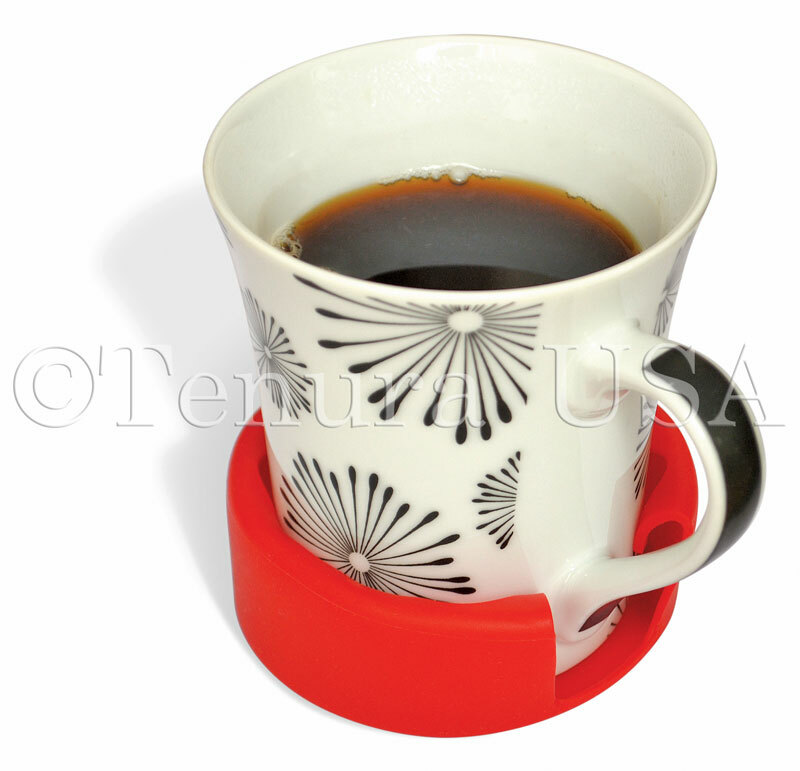 Tenura cup holders have strong antimicrobial properties, meaning they will harbor no bacteria or dirt. A combination of hot water and soap is more than enough to keep this material clean and hygienic, ready for its next use. Cup holders are also made from 100% silicone and non-toxic, meaning no phthalates are present in our materials, keeping you and your family safe from the damage these chemicals can cause. Tenura Cup caps go very well with cup holders! This product creates a seal on the top of the material, preventing spills and stains. Tenura cup holders are available in red, blue and yellow while cup caps can be found in packs of one 80mm and one 60mm cup cap. By combining these two products, you can minimize the chances of spills and stains while still being able to enjoy hot or cold drinks in the house or on the go! Tenura cup holders and the rest of the Tenura range can all be found on our website. Posted in Uncategorized on November 10, 2015 . Tenura cutlery grips create an enlarged surface area around objects which would otherwise be small and hard to pick up and use. The silicone handle allows objects to be placed inside two slits in the middle of the material, allowing the products to sit around the utensils neatly. The large surface area this product provides helps ease pressure and strain on joints and muscles, allowing day to day tasks to be performed much easier without discomfort or pain. Food preparation can be hard for those who suffer from hand impairments. Grip can be massively affected leaving you struggling to use basic utensils and finding it hard to prepare a basic meal. 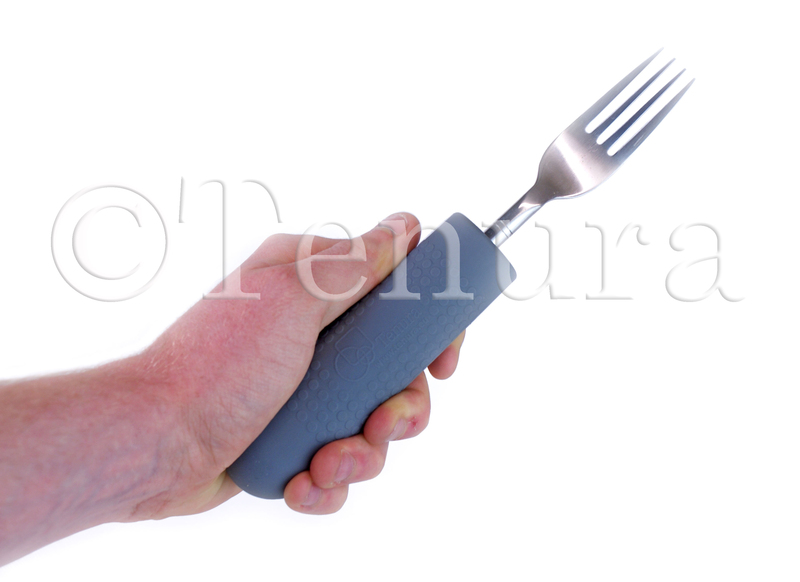 By applying Tenura cutlery grips, you can increase the surface area of the object and make it easier to grip and hold. This makes jobs such as cutting and mashing food easier and less painful. Cutlery grips can be cleaned simply with hot, soapy water.­ This will allow you to keep a strong standard of hygiene and prevent bacteria from conta­minating anything which comes into contact with it. After food has been prepared, comes the most important part of the meal, eating. However, this can be more work than the preparation, especially for those who suffer from arthritis and other condi­tions. Items like knives and forks can be very difficult to hold and use effectively. This can make meal times take much longer than it would normally or be a very painful process, all of this effort to simply feed yourself can be very tiresome, and make meal times a burden. By using Tenura cutlery grips, you can make utensils like knives and forks much easier to hold and use,­ while re-leaving stress and strain on joints and muscles by grasping a bigger, more comfortable surface area. Pens and pencils are often used in day to day life. Writing is an essential skill that is needed almost all the time. Unfortunately for those who suffer from arthritis and similar diseases, writing can be a painful and strenuous experience, and is sometimes not worth the effort. Cutlery grips create a much bigger surface area that is more natural to hold and comfortable to grip. This can make writing easier and will lessen the strain on joints and muscles which could cause discomfort to the person writing. As we were taught as kids, brushing your teeth is a vital part of day to day life. Without clean teeth, nasty cavities and holes will start to form. This can lead to painful toothache or expensive surgery to get it corrected. 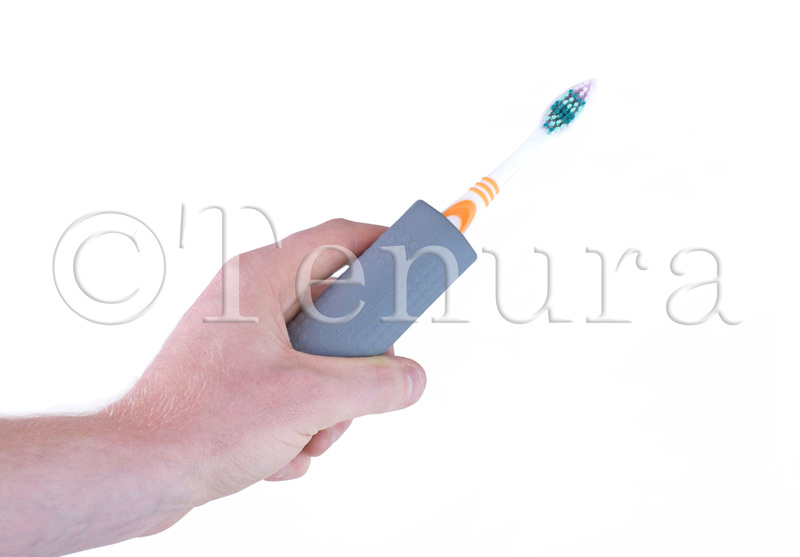 However, using a toothbrush requires a precise amount of pressure and movement when in the mouth, without this control, you could start to smack your teeth and gums which could cause you to bleed or damage your mouth, or it will be so painful for you to operate the toothbrush you may not be able to do a thorough job and clean your teeth fully. Those who suffer from ailments like arthritis and Parkinson's can struggle to do this. 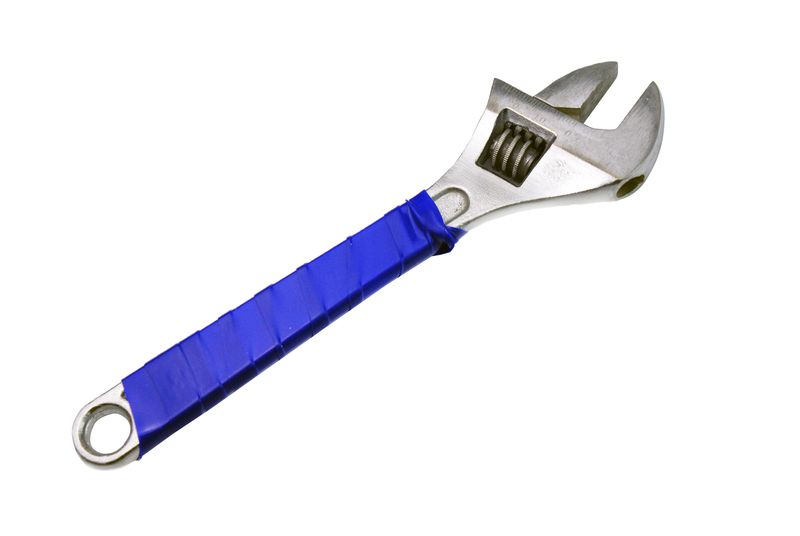 The need to grip a small object create can create great discomfort in their joints. Cutlery grips allow you to create a much larger surface area which will make a toothbrush easier to hold and use. By creating a bigger surface area, it lessens the strain on joints which will decrease the amount of pain the user will suffer. Cutlery grips are a great aid to day to day life and allow tasks which need you to grip and use small items much easier and less painful. Take a look at our newest video: How to apply and remove cutlery grips! For more information regarding Cutlery grips or the rest of the Tenura range, please visit the website. Posted in Uncategorized on September 28, 2015 . Dinner Time is Easier with Tenura Anti Slip Mats & Cutlery Grips! Tenura children’s anti slip mats offer a strong anti-microbial protection, helping to stop a wide range of bacteria from manifesting on these mats. We think this material is a cost effective solution to the common dinner mat which can create an even more dangerous surface for foods to rest on. Our material is proven to help create an anti-slip surface that reduces the risk of accidents, and has strong anti-microbial properties which prevents bacteria and fungi from growing and living on the material surface, ensuring a clean environment for your children to use. Feeding Children and dealing with meal times can be a chore in itself and can really drain mums and dads all over the world. These tasks can be even more tiring for those parents or guardians who suffer from physical impairments, due to injury or impairments such as Parkinson’s and arthritis which can make the smallest tasks become an uphill struggle. These products are made from anti-microbial materials which will help to protect any person who comes into contact with the mat by destroying and/or stopping bacteria from growing. These mats will also help to prevent unwanted movement from any object resting on its surface, this can be a big help to those suffering from Parkinson’s and can help to stop spillages. Tenura anti slip children’s mats are available in a green frog or orange cat design, and will provide a strong non slip surface perfect for meal times! 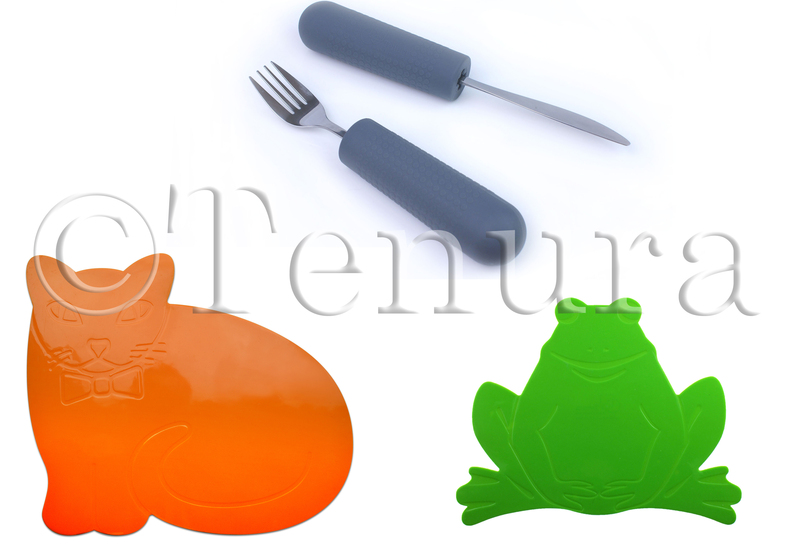 You can buy Tenura children’s mats and cutlery grips direct from the website! Posted in Uncategorized on August 7, 2015 . 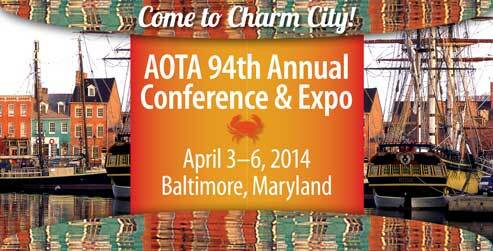 We will be attending this years AOTA Annual Conference, which is being held from the 3rd until the 6th of April in Maryland, Baltimore. Held during 'OT month', it is a great opportunity to promote Occupational Therapy on a large scale, and push new methods and innovations. With lots of activities and conferences being held throughout the event, their is plenty of opportunities to learn about the advancements within Occupational Therapy, such as advanced practice, professional growth and personal advancement through the possibility of licensure renewal and governing body re-certifications. Not only is it an opportunity to learn, it is an opportunity to make new connections and friendships, with thousands of passionate people within the industry attending, there is plenty of opportunity to meet new faces, and reacquaint with old ones. There will also be special events throughout, including but not limited to Plenery Sessions, International Breakfast, Tech Day, Fitness Sessions and also including the Eleanor Clarke Slagle Lecture. View your program guide on the day to see the array of events held during the course of the conference. Tenura will be in attendance to inform you of our new products, innovations, plans and to generally meet and greet a lot of new and old connections. Finally, Baltimore is a wonderful City full of beautiful landmarks including the Inner harbour, National Aquarium, Fort Henry and plenty of places to dine. A trip in to Baltimore during the conference is a must! For those attending, an exciting couple of days is ahead of you, and we shall see you there. Posted in Uncategorized on March 21, 2014 . Wooden floors in homes are extremely popular, not only are they easy to clean, but for the most part they make your house look that bit more modern. They do not come without drawbacks though, in this case, the surface isn't exactly the grippiest, and things made from soft fibres, such as socks, or rugs to be more specific, do not hold to the floor like a cat trying thttps://­www.­tenura.­us/­tenura-non-slip-fabric-2-2o stay out of the bath! While I use to love skidding around in my socks, those days are over, i'm too big/heavy/old for kitchen surfing now. The versatility of our non slip fabric is increasing constantly, and to name them all would be virtually impossible, or very time consuming. Using Tenura non slip fabric as rug underlay is one of those things were it may be used most, as rugs are almost as popular as wooden floors, and can, in most cases, come hand in hand! The anti slip and cushioning qualities of our fabric will hold rugs and similar items fast, just place it on the floor, lay the rug over the top, and make it even comfier to lay on while watching TV! You never have to fear stepping foot on your beautiful rug ever again. Do you think Tenura non slip fabric is suitable for this purpose? Posted in Uncategorized on February 12, 2013 . While Tenura daily living aids have been previously mentioned as really useful in domestic and clinical environments, they are not restricted to this, as they offer many different application uses in many different environments, anyone can find a use for them. The office is one such area in which Tenura products can be utilized. In a fast paced office environment, or even a home office, Tenura daily living aids offer a quick-fire anti slip solution to any desk, table or a situation that requires grip enhancement. Laptops are a particularly prominent item in the workplace, as many people travel a lot during the day, so need to have the ability to take their work wherever they go. Laptops also have the only slight downside of getting hot when left on a flat, unventilated surface; this could cause damage to the surface it’s on. Feet can also catch power leads and, while some laptops have preventive measures in place, some don’t, so that urgent report could be delayed due to your laptop being knocked onto the floor. Tenura silicone rubber non slip mats and non slip fabric can prevent these, due to their anti slip qualities, which will prevent the item being pulled to the floor, and their heat resistance, will prevent the surface being possibly blemished, and in particular with the non slip fabric, offers a bit more ventilation. You can fit your whole desk with Tenura daily living aids, with a non slip coaster for your morning cup of coffee, and one to go under your vase of flowers, or a similar item of convenience on your desk. Tenura anti slip grip strips are also useful for people who struggle to grip pens, as wrapping a grip strip around will increase grip and comfort for the user. Grip rolls make an excellent draw liner, preventing the regular opening and closing of draw from creating noise and possible damage to items within. Should you have a foot rest under your desk, then another non slip mat may come in handy, as not all of them have an effective anti slip surface. Many people I know like to take their shoes off while they are sat at their desk, and the mat would insulate better, keeping your feet a lot warmer than the uninviting, cold plastic of a foot rest would normally. Tenura daily living aids can be integrated effectively in to a working environment, in most cases to increase efficiency in the workplace. For more information on using Tenura daily living aids in an office environment, you can browse the website or contact us via phone or email, and we will be more than happy to discuss your requirements. Posted in Uncategorized on October 26, 2012 . Tenura daily living aids offer a lot of versatility due to the many positives factors they feature. Their anti slip and grip capabilities are paramount when mentioning the qualities of the range. As well as focusing on these features in this article, let us not forget their heat resistance, which goes up to approximately 482°F, making the kitchen a place where Tenura products can be used safely, to assist you in the daily tasks of the kitchen. A notable mention towards silicone being non toxic is needed here, as the main range of Tenura daily living aids are manufactured from 100% silicone, assuring they are safe to use in high hygiene areas. The kitchen is a place where painful accidents can occur, even the slightest loss of grip can result in painful injuries, cuts and burns being at the forefront of the list. A scenario is set out below, involving Tenura daily living aids as and were they are needed. Chopping Ingredients – A Tenura table mat placed under a chopping board will prevent any slippage, holding the chopping board in place. This can also ensure that the chopping board has enough stability to be used one handed if required. Tenura anti slip and grip strips or rolls can also be used, along with Tenura non slip fabric. This way it makes it possible for absolutely anyone to make their kitchen safer, even on a very tight budget. Tenura grip strips can be wrapped around a knife handle, for increased grip and comfort. Opening containers – Tenura jar and bottle openers can be used here, even one handed with the aid of a Tenura mat or coaster. This eradicates any strain and discomfort sometimes associated with the opening of sealed containers. Grating – Graters come in many forms, from grating boxes to hand held graters, and while many come with anti slip edges or bases, in my experience I have found they can still fail. By combining this with an Tenura anti slip mat, you can assure that they will be held in position, saving your knuckles or fingers from any slips. 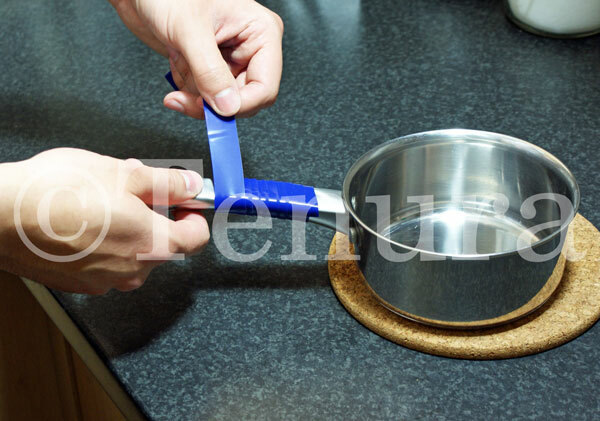 Cooking – Tenura grip strips are the daily living aid of choice at this point, available in strips or rolls, it can be cut to size if required, and will wrap round a pan handle or cooking utensil for increased grip, comfort, and reduced risk of burns from metal handles. Resting – Tenura mats and coasters can be used on a worktop to place pans on to prevent burn marks on your kitchen units. Eating – Tenura table mats and non slip fabric are perfect for use as place mats on your dining table, using Tenura coasters for any beverages, and grip strips for the utensils if required. Tenura daily living aids have a prominent place in the kitchen, aiding you in an efficient, enjoyable kitchen experience, preventing injury to yourself or others. Posted in Uncategorized on June 25, 2012 .